The Red Bull Holden Racing Team will take a narrow lead over Brad Jones Racing into the last preliminary round of the PIRTEK Pit Stop Challenge next month. Those two teams, and Shell V-Power Racing in third, have all-but booked a place in Bathurst's Grand Final, while the fourth and final spot will be hotly-contested at Tailem Bend's eighth points-scoring leg. 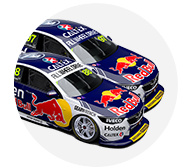 Red Bull HRT's #1 entry of Jamie Whincup moved to 153 points with the fifth-fastest time at Queensland Raceway on Saturday. That crew maintains the lead over BJR's #8 of Nick Percat, which was fourth in Summit Fleet Leasing colours to close the deficit to three points. BJR had two of the fastest four stops in Ipswich, with Tim Slade's Freightliner Racing entry fourth. 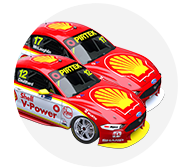 Scott McLaughlin's #17 Shell Ford crew lost touch with the top two with its pit entry-to-exit time of 41.3942 seconds the eighth fastest. Changing all four tyres, the stop included a slight delay on the left-rear corner. McLaughlin still won the race and remains third in the Pit Stop Challenge standings, but fell to 12 points off the lead. Behind them, three points separate fourth to sixth, with seventh only a further three adrift. 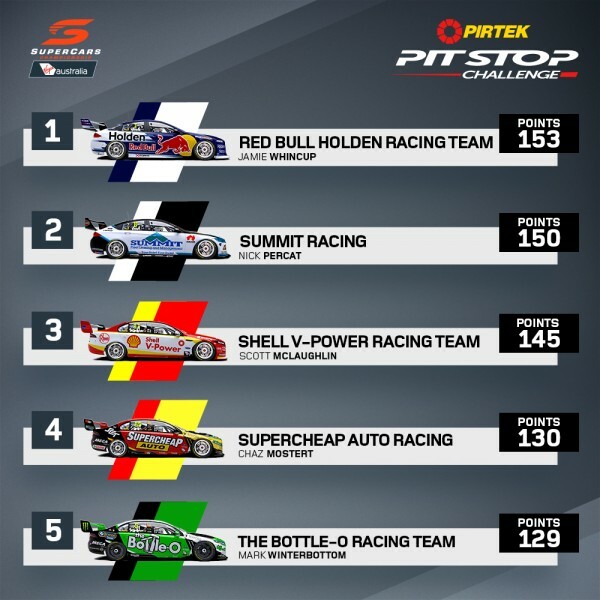 The top four crews will fight it out for the $20,000 major prize and PIRTEK Pit Stop Challenge Golden Rattle Gun at Mount Panorama. 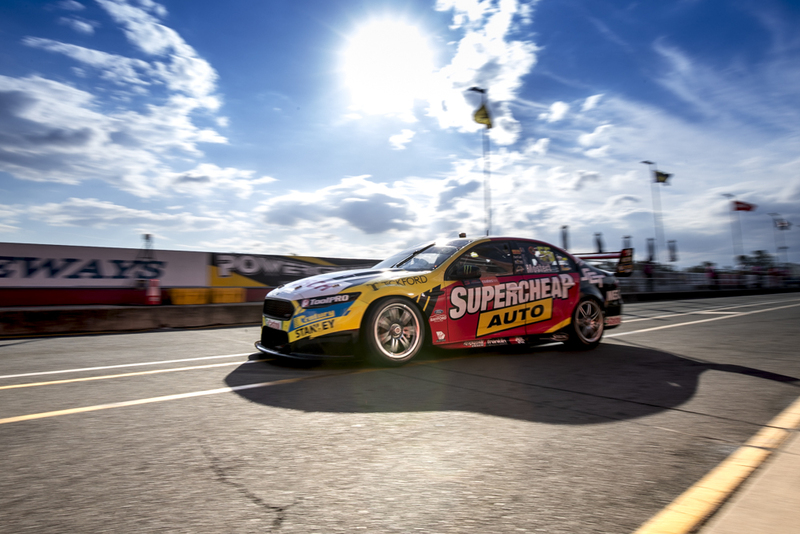 Chaz Mostert's #55 Supercheap Auto crew moved from a share of sixth into the key fourth position on 130 points, with the fastest time on Saturday. 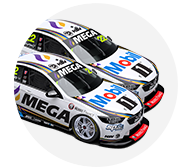 Tickford Racing opted to change the left-side tyres on Mostert's Falcon – an outlier in not changing all four – and was fastest by nearly a full second with a total time of 39.4696s. 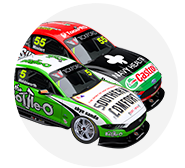 The same personnel look after Mark Winterbottom's #5 Bottle-O Ford, which was 10th fastest and remains fifth on 129 points. A single point further back is James Courtney's #25 Mobil 1 Boost Mobile Racing crew, which set the third-fastest time. 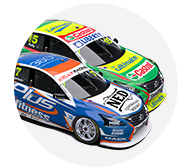 Nissan Motorsport's #15 for Rick Kelly's Castrol Altima was the big loser in the standings, falling from fourth with a six-point cushion over fifth to seventh, five points behind fourth. Kelly pitted ahead of Whincup but emerged behind after trouble fitting the new right-front tyre, represented by the 21st-fastest pitlane time at 43.3863s.